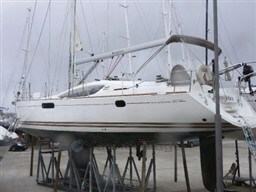 A perfect style boat Jeanneau. 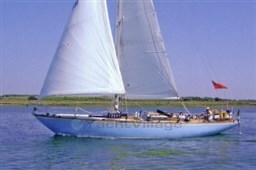 Comfortable, elegant, that does not give up to give emotions also sailing point of view. 3 cabins, 2 bathrooms bow cabin with double bed and private bathroom. Master mattress of 2018 (the original). Do you want to know more about this boat? 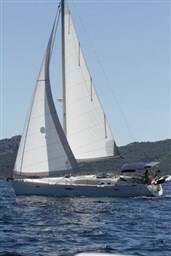 Dear Sirs, I have seen on YachtVillage your offer about Jeanneau Sun Odyssey 49 - 2006 (code: 483689). I am interested in the offer and would like you to contact me. Thank you. 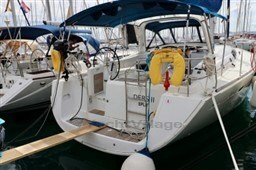 If you would like to find out more about this boat and any other boats of this type and range, Digibusiness Srl,the Company that manages YachtVillage, and Collecchio (PR) 43044, Strada Consortile, 2, the Company that exhibits the Boat, must necessarily acquire some simple details about you (name, surname, email address and, if needed, your telephone number). These details will be processed according to the purposes and means of the processing indicated in the privacy statement under the PRIVACY Section of this website, referred to herein. Having read the privacy statement on the treatment of personal data, I give my consent, in electronic format, to the processing of my personal data, for the purposes expressed in the above-mentioned privacy statement. Please note that unless you give your consent we will not be able to respond to any Request for Information. In particular, I give my consent, in electronic format, to the processing of my personal data by automated means intended solely for the purpose of linking my boating interests to any market offers so that the Company can show me any suitable products. Without your consent will not be able to address your specific needs appropriately. New user? Click here to register! 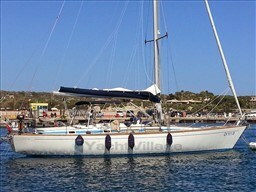 If you would like to find out more about this boat and any other boats of this type and range, Digibusiness Srl,the Company that manages YachtVillage, and Marina Yacht Sales, the Company that exhibits the Boat, must necessarily acquire some simple details about you (name, surname, email address and, if needed, your telephone number). These details will be processed according to the purposes and means of the processing indicated in the privacy statement under the PRIVACY Section of this website, referred to herein. Without your consent Digibusiness Srl will not be able to address your specific needs appropriately. To download the printable card, please fill out the following fields and press the button "Start download"
What does "Favorite" and "Followed" items mean? By clicking on the appropriate buttons, you can add or remove the current item from your own personal selection, pointing or less as a "favorite." About each of these objects, finally, you can decide to "follow" it or not, if you want to receive notifications of any status changes, such as price and availability.